The last CVM report was one of the most categorical and straightforward to date in everything it meant to say, by saying the exact opposite. The report marks the definite withdrawal of the European Commission from keeping up the illusion – report after report for twelve years – that the Commission can produce an actual result in steering Bulgaria towards achieving real rule of law by only making suggestions to that effect. 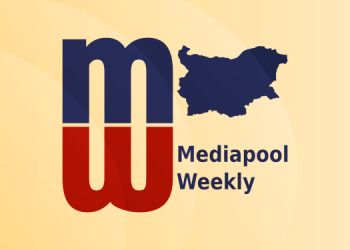 The CVM’s blind spot is just that: it presumed that Bulgaria and the Commission share the same goal and the only problem is that Bulgaria lacks the necessary know-how to get there. The Commission would provide the knowledge, Bulgaria would apply it and rule of law would be established. The Commission failed to factor in – or indeed acknowledge - the risk of the functioning captured state whose goal is anything but rule of law, among other things. From this perspective, the Commission and Bulgaria were never on the same side of a fight for the fundamental element of the democratic state: an independent and transparent judicial system. Indeed, the very system a mafia state needs to seize in order to thrive. The assessment is non-critical and bends over backward in its political correctness. Until now the government has always had to spin these reports and try to convince the public that the reality is not as grave as the assessments describe it. Now the government has found itself in a situation where the tables have turned completely. Amid growing protests in the country, the government and PM Boyko Borissov personally point to the assessment to reason to the Bulgarian people that the country is doing great: even the ever-so-critical European Commission says so. 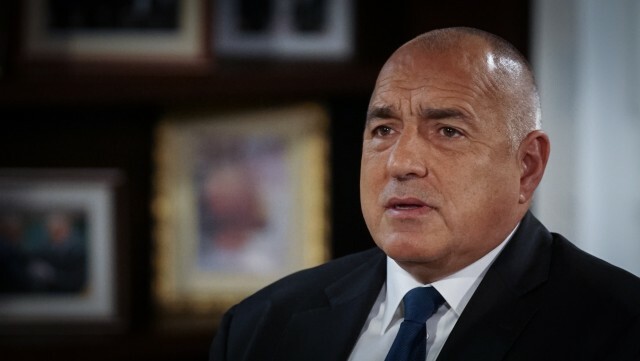 As for the deteriorating media environment – arguably the only serious criticism in the report – Borissov not only dismissed it as untrue in an interview following the report (see more about the PM’s reaction below) but took offense in the question itself. And why shouldn’t he after all? One problem area could hardly withstand in a pool of praise. The practical reason for the report’s mostly positive assessments is for the sake of the Commission itself: if it were to shut down the mechanism without achieving its goals, the Commission would have to acknowledge its failure. Instead, it produces a seemingly positive report, which is another way of saying the CVM has completed its mission. Except for pointing out the declining media environment in the country (a criticism, for which consequently no institution or government can be blamed for directly), the problems that have found their way into the report are stashed away in footnotes and depended on clauses. Numerous cases of corruption schemes, evidence of abuse of power in the highest levels of the government and the prosecution have been mostly ignored to the point of painting an alternate reality at best and providing an elaborate cover-up at worst. The long since captured state of Bulgaria has finally won the long-standing battle with any opposition forces trying to make way for establishing the rule of law. The Commission is either unable, unwilling or both to carry on trying to push this country toward becoming a trustworthy equal in the company of democratic free societies. Bulgaria might not ever exit the Union in the formal sense like the UK will but it is definitely already out. Since its (premature) admission into the EU Bulgaria has always stood only halfway through the door but at least the door was open. It seems the time has come for this door to finally close. As part of the CVM, the EC has been issuing numerous reports, which cited the same problems again and again for more than a decade of what should have been only several years. In return, it received the same assurances that appropriate measures are always just about ready, or just about to be implemented – everything is under control and will be fine before the time comes for the Commission to issue its next report. And just then the system would reset and the cycle – repeat. While this back-and-forth polite and formal conversation was going on, the real power dynamics in the country were working hard on the alternate agenda. The governments of the past decade – at whose core one would always find the same power networks – have been working effectively and systematically towards establishing the impenetrable power structure of the captured state in its complete form. 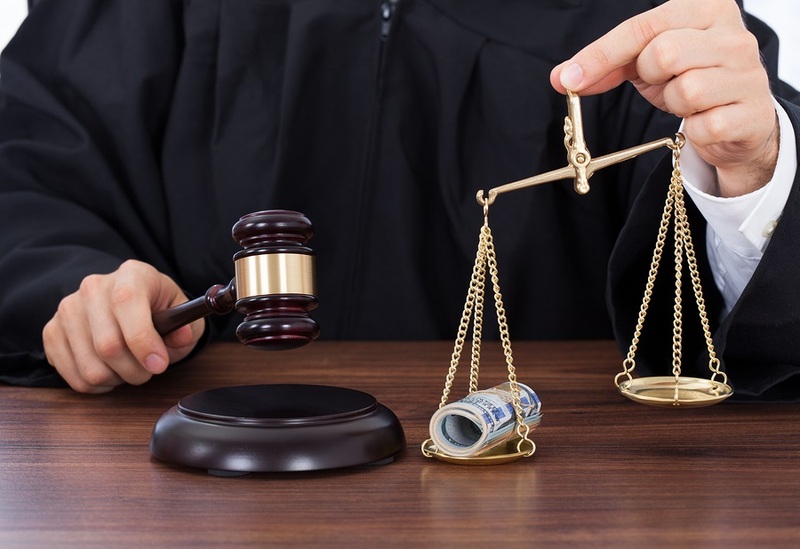 The key elements in achieving this are crushing media freedom to the point of almost non-existence, taking over the media space by government-dependent media, and capturing key domains of the judicial sector. The most important news for Bulgaria from this report is this withdrawal and the message that EU has abandoned the idea that it could achieve the unity and cooperation it seemed to have thought it could. Multi-speed Europe is not only a reality of development but seems to be becoming the core factor of future EU policy. There is a substantial shift in the concept of multi-speed Europe from describing a state of development to becoming the defining threshold of integration. There is a tragic note to this story, preceding Bulgaria’s accession from the EU. Bulgaria has been on the path of steady decline over the past ten years regarding key aspects of functioning democracy, and that is not a coincidence at least in one regard. After the fall of Communism, the efforts of building a free civil society had mostly taken the form of non-governmental funding, which fueled the civic sector. This funding was mostly withdrawn from Bulgaria upon it accession to the EU. The reason was the presumption that the work is done, Bulgaria is now part of the EU, and in the aspects where it fails, the EU will make sure it keeps in the right track. Now the EU finally gave up and accepted it is powerless against the corrupt forces in this small country. The message to Bulgaria is clear: we’re done trying to help. Of course, this will have practical consequences. Brussels will replace recommendations with sanctions and isolation from the ‘real’ EU and its benefits. Which leaves the idea of a democratic Bulgaria, governed by the rule of law, abandoned from all efforts to build a free society and effectively defeated. In a surprising move Vice PM Valeri Simeonov announced his resignation last Friday night, saying he does not wish to be the albatross around this cabinet’s neck anymore. 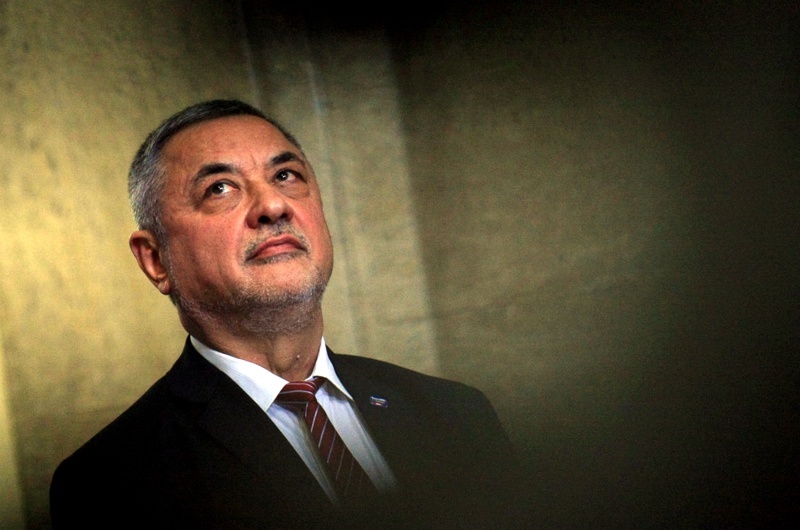 The resignation came as a surprise as both PM Boyko Borissov and Simeonov have said on numerous occasions that Simeonov’s resignation is not on the table. The PM gave an interview on Thursday, in which he said the same again (more on the interview below). Protesting parents of children with disabilities have been demanding for Simeonov to resign for nearly a month after he called them “a bunch of loudmouthed women with supposedly sick children”. PM Boyko Borissov cross at the European Commission: How is the media not free?! 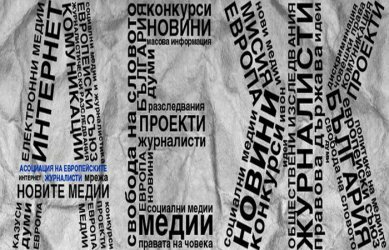 PM Boyko Borissov called for an immediate debate on media freedom in Bulgarian. The PM tasked Foreign Minister Ekaterina Zaharieva with organizing the debate and securing the participation of relevant European commissionaires. This happened on Wednesday during the regular cabinet meeting, following the criticism about the degrading media freedom in the country in the latest CVM report. “I know there are countries where there are cartoons of the PM 2-3-5 times per year. In Bulgaria this happens every single day”, the PM pointed out in arguing that the media in Bulgaria have no issue with freedom. “Who is banned from doing what? An oligarch made himself a media outlet in order to protect what he has stolen; suddenly now we can’t touch this oligarch, whoever he may be, I’m speaking figuratively.”, the PM continued ranting but without naming names. He went on how any felon can put up a website in a manner of hours and claim there is no media freedom. Borissov said that neither he nor the members of his cabinet and government wish to or can influence any media outlet. The PM is obviously furious at the consecutive ascertainment that the media environment in Bulgaria is in a deep crisis. However, he has ignored the numerous reports by other international organizations claiming the same, most notably the last Reporters Without Borders report, which named specifically Movement for Rights and Freedoms MP and media mogul Delyan Peevski as the main reason for this crisis. Peevski either owns or influences most media outlets in the country. The Bulgarian section of the AEJ has called on President Roumen Radev to veto the recently passed media bill, which came to be known as the Peevski media bill. The bill underwent significant changes between the first and second reading in Parliament due to heavy criticism that it tailored to target specific media outlets, who count of non-government funding from donor organizations to survive. “Although the bill significantly improved compared to its initial draft, many important imperfections still remain, which makes it necessary for the bill to be returned to Parliament for review.”, the AEJ points out is a special position, published on its website. For one thing, the AEJ opposes the minimum threshold fees for first violations of 10’000 leva and 20’000 for second. According to the AEJ the fee is not only disproportionate but seriously threatens the freedom of the press and by extension, freedom of speech and could lead to the critical use of censorship, in violation of article 40 of the Constitution. The AEJ also insists that a minimum threshold is defined for donations below which the media should not have to declare them. This requirement for disclosure would prove extremely difficult to fulfill in cases where a given media receives thousands of donations of several leva each. The requirement threatens the existing of crowdfunded media outlets altogether, which the AEJ sees as a grave risk to the overall freedom of the press. PM Boyko Borissov and the government, along with GERB coalition partner the far right-wing United Patriots will not be resigning amid growing protests against high gas prices in the country and the newly increased taxes for older cars. The protests have been going on for about a week and resemble in many respects the protests from February 2013 against high utility prices (especially electric), which ultimately led to the resignation of the second Borissov government. The Bulgarian government was lucky this time as the global oil prices just dropped, which affected the local gas prices, which might calm the protesters. However, the government fails (or refuses) to deal with the systematic problem of the gas market in the country, which has to do with Lukoil’s dominance on the market and possible abuses of monopoly power by Lukoil. The latter is an issue the Commission for the Protection of Competition has been looking into since 2016 but is yet to produce a conclusion. It is important to note that while the end-prices of gas in Bulgaria are among the lowest in the EU, the amount that the end consumer pays for the actual oil is one of the highest. The end consumer price is low thanks to the state keeping taxes on the oil low. The protests, which started off against the high gas prices in Bulgaria have become countrywide. Protesters started blocking a number of national roads across the country on Sunday. The protesters demand the government’s resignation, higher income and more involvement in the country’s decision-making process. Parallel to this protest another one is going into its sixth month. Parents of children with disabilities have been protesting since June, demanding legislative changes in the laws regarding people with disabilities. Over twenty days ago Vice PM Valeri Simeonov from the United Patriots called these parents “loudmouthed women with supposedly sick children”. Since then the protesters take to the streets every day demanding Simeonov’s resignation, which he finally gave last Friday night. The PM gave a one-hour interview for bTV on Thursday, in which he made it clear the government sees no reason to withdraw prematurely from power. Asked about this Borissov said again that Simeonov’s resignation is not an option and he could not ask for it. Borissov once again apologized for his colleague’s words. The PM went on to repeat that Simeonov has realized what he did was wrong and that the children are “not supposedly sick” because “it is visible they are sick”. The non-parliamentary liberal opposition coalition democratic Bulgaria will not be joining the protests against the high gas prices. The movement acknowledges that the country is in a deepening political crisis and in their view snap parliamentary elections are inevitable. “I understand the people’s sentiment at the core of these protests but first of all, these are civil protests, which have declared themselves as such, and second frankly, as a citizen, I am a bit worried by the fact that it is unclear who organizes them”, co-leader Hristo Ivanov said. He went on to stress that the country is in need of recovery plan and that snap election is inevitable but without a public wide consensus that the first order of business is real reforms, the next government will be the same as the previous ones. Atanassov also cited several lobbyist legislation that the government has passed, and which serve Lukoil directly. One is increasing the speed limit on highways to the staggering 140 km/h, which in turn ultimately increases immensely fuel consumption. According to Ivanov what we are witnessing is this government taking down itself. The reason is the long-standing refusal of Borissov to undertake real reforms. The head of the Supreme Court of Cassation Lozan Panov accused Chief Prosecutor Sotir Tsatsarov for going after critics and protecting friends. Panov added that no one dares initiate a mechanism to control the chief prosecutor’s work. Panov made a speech at an international forum organized by the Bulgarian Judges’ Union, dedicated to the role of the courts in the public debate on the rule of law. 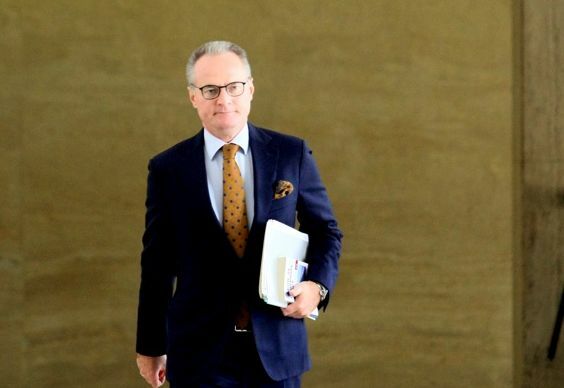 Panov also reminded the audience of the time when the bolts on the wheels of his official car were loosened not two years ago and other incidents, aimed to scare off the opposition voices looking into schemes involving the chief prosecutor. The head of the SCC categorically disagrees with the conclusions of the last CVM report. In his words, if it were true that the justice system in Bulgaria is independent, as the report claims more or less, then the courts would’ve been the ones to decide whether crimes are committed, not the Prosecutor’s Office, as is the case now. 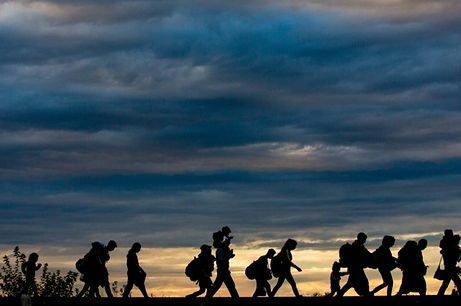 Representatives of the Bulgarian government admitted on Wednesday that the UN’s Global Compact for Safe, Orderly and Regular Migration can be beneficial to Bulgaria, but will not back down from the decision it announced a few days earlier to reject it. The largest ruling party GERB decided not to support the pact as it faced a potential backlash from its coalition partners the far-right wing coalition United Patriots and from the opposition alike. 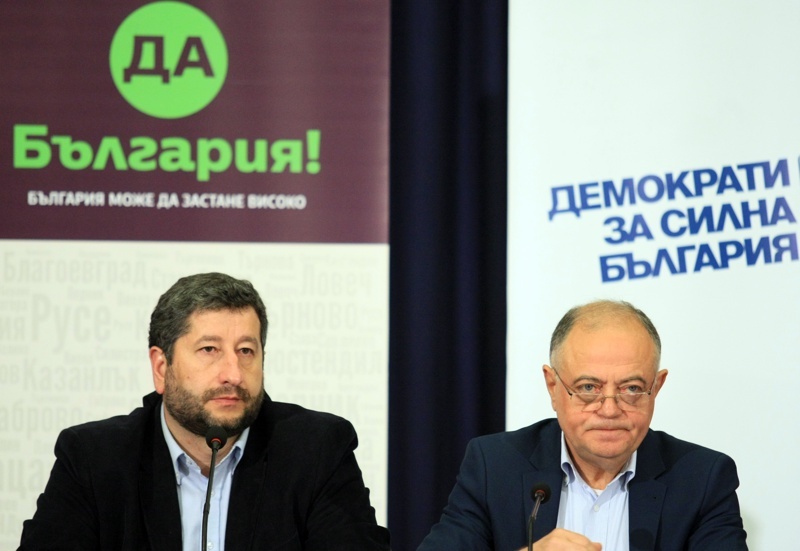 The largest parliamentary opposition, the Bulgarian Socialist Party along with VMRO of the UP stirred the panic around the pact, in a manner that resembled the backlash against the Istanbul Convention, which ultimately led to its shelving. Although the document is non-binding BSP and the far right saw it as a grave threat.